The living room of the Sherman family. Tara Sansone and Hil Sherman moved into the buildng as a young couple in 2000. 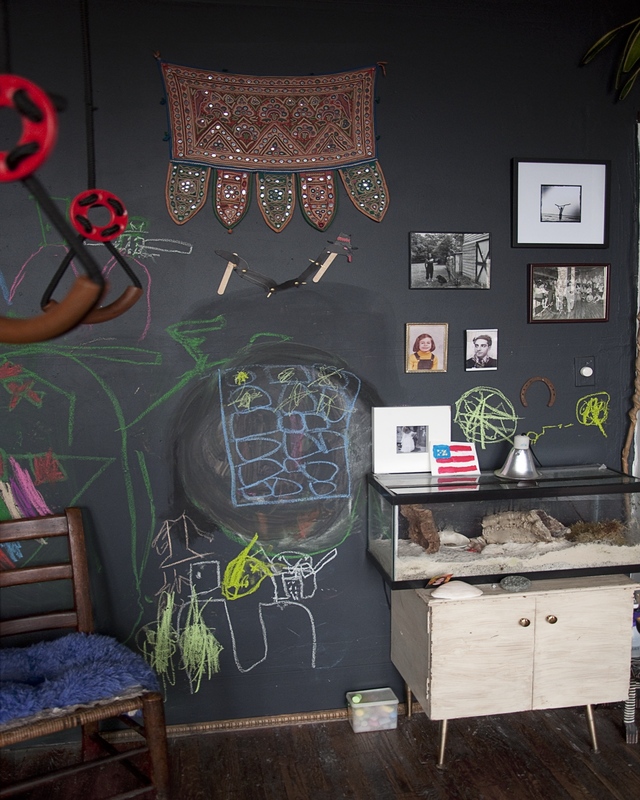 The wall-size board is used for drawing by their children Mela and Marcello. Mela nad Marcello are the keepers of the Hermit Crab contained in the tank. October 2012. Published November 21, 2016 at 1280 × 1600	Both comments and trackbacks are currently closed.